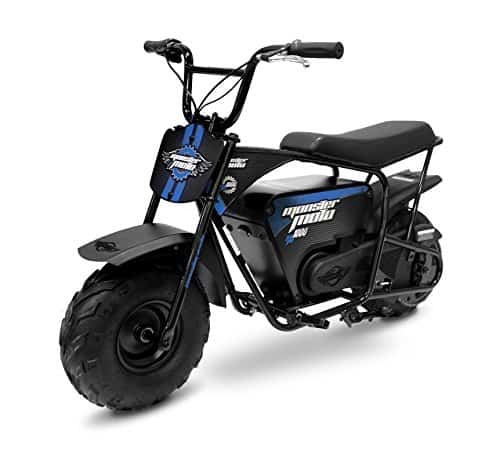 If you’re looking for a bigger and faster electric mini dirt bike for your up and coming rider, you’ve got to check out the Monster Moto 1000 Watt Electric Mini Bike. 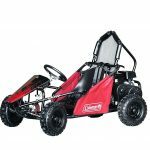 This mini bike packs a powerful punch and will leave its competitors in the dust with its 1000 watt motor and top speed of 17 mph. One of the nicest things about this Monster Moto mini bike is that it ships basically completely assembled. 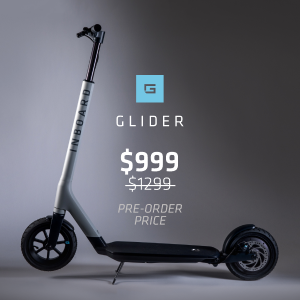 All that you will need to do is attach the handlebars and get it charged up. 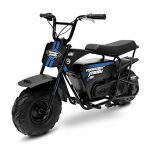 Let’s go ahead and take a closer look at our Monster Moto 1000 Watt Electric Mini Bike Review! 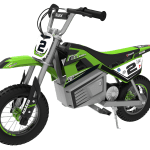 Let’s kick things off with this Monster Moto electric mini bike review by answering some of the most frequently asked questions about this kids electric dirt bike. Who is the Monster Moto 1000 Watt Mini Bike designed for? 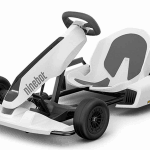 This electric mini bike is designed for riders ages ages 14 and up with a maximum rider weight of 185 pounds. 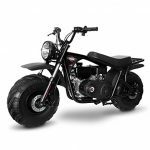 How big is the Monster Moto 1000 Watt Mini Bike? How fast is this Monster Moto Mini Bike? 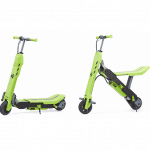 The Monster Moto 1000 watt electric mini bike has a top speed of 17 mph with up to 45 minutes of continuous use on a full charge. 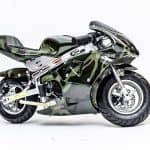 This makes this Monster Moto mini bike one of the faster stock electric mini bikes currently on the market. 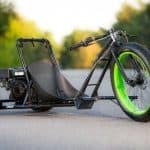 How much does this electric mini bike cost? The Monster Moto 1000 watt dirt bike is going to run you around $400. 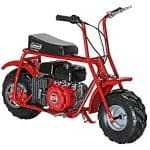 The only other kids electric dirt bike that rivals the Monster Moto 1000 watt at this price point would be the Razor MX650. If you’d like to read through our comparison review of these dirt bikes, check out our article on Best Electric Dirt Bikes Under $500. 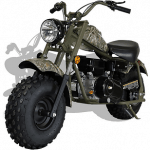 COST – Let us save you the search, you will not find another electric mini bike of this quality at a better price. 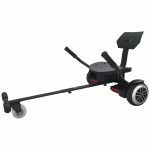 MOTOR – As we’ve hit on multiple times throughout this review, we love the powerful 1000 watt motor on this mini bike. 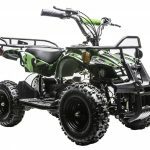 You’ll find a number of different electric mini bikes with motors ranging from 250 watts to 650 watts, but the Monster Moto 1000 watt is in a league of its own. SUSPENSION – Or should we say, lack of suspension. 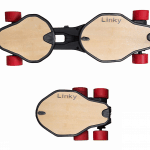 Now this isn’t a deal breaker by any means but it could make for a smoother ride. We also want to reiterate that Monster Moto has done a nice job of compensating for this by adding a larger off road tire than most other electric dirt bikes. 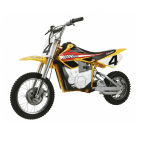 The MX650 has a 650 watt motor and the Monster Moto 1000 is powered by a 1000 watt motor. Top speed for both of these electric dirt bikes is about the same (17 mph). Monster Moto 1000 is about 10 pounds heavier than the MX650. Range on a full charge is about the same as well (40-45 minutes). Razor MX650 has both front and rear suspension and the Monster Moto 1000 does not have any suspension. Bottom line, if you’re looking for a larger, more powerful mini bike you can’t go wrong with the Monster Moto 1000 Watt! Check out the Monster Moto 1000 Watt Electric Mini Bike in action! So what are you waiting for? 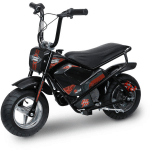 Get your Monster Moto electric mini bike TODAY! Be sure to check out some of the other great Monster Moto products and dirt bikes available through Wild Child Sports!